I have been a massive soul music fan since the age of 8, when I went to a record shop with my older sister to buy Freda Payne – Band Of Gold” way back in 1970. I was instantly hooked on records, music, and in particular the soul sound. I began to buy my own records as soon as I was old enough to earn my own money by doing a paper round. This wasn’t enough, so I soon found myself going car washing and doing basically any odd jobs that a young teenager could do to buy records. My addiction to record buying really took off in 1978 when I left school and got my first real job, spending pretty much all my wages on buying the latest 12″ singles and imports from (The sadly long gone) “Mr Record Man” shop which specialised in Soul & Disco music, supplied the local disco’s, and was a 15 minute walk from my house! I did the pub & club thing, going out weekends and visiting the disco’s of south east England where I met the lady who was to become my wife. We married in 1986 and family life took over, but I still carried on buying a few records and the new format of music, CD’s. This continues rightup to this day and I am still regularly buying music in all it’s formats including the modern day downloadable MP3’s. In 2009 I met a guy via Youtube who invited me to play on a now long defunked (literally!) soul internet radio station. My only experience of playing music to an audience up to that point had been with a friend helping him with his mobile disco back in the early 80’s, but I decided to give it a go, and, found that I really enjoyed my new found hobby. It was on a station in 2010 that I met Dave Simons & Neil Winter and I have stayed in contact with them ever since. They started Retro Soul Radio and I have been an avid listener since the very beginning – despite working on a different station. I remained on air constantly from 2009 until the very end of 2018, when I was forced to take a step away from it all for health reasons. 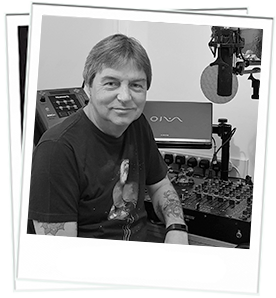 I approached Dave & Neil at the beginning of 2019 to see if there was any chance of me joining the team here at Retro Soul Radio after my health had improved and, I am delighted to say that they have invited me on board. So, you are cordially invited to join me for my show “All Things RSR” every Saturday afternoon between the hours of 4 & 6pm UK time, for some fantastic music from the 1960’s onward. You will hear tracks from all formats – vinyl, CD & MP’3. To me it has always been about the tune and never the format. I really hope you can join me and enjoy some of the fantastic soul, disco & club music that has been released over the years.